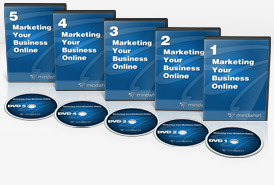 At Mindwhirl, we are focused on creating exceptional marketing training for businesses. With our training products, you will not only learn to implement marketing campaigns that give you a healthy return on investment, you will also understand what you are doing and why you are doing it. Well, if it isn’t obvious, you will be able to think around the problems which face your business and create your own solutions to marketing problems. What we realized while working with hundreds of companies is that if the business owner doesn’t know how to market their company themselves, the company fails. The Small Business Administration’s statistics for a small business succeeding past 5 years is only 20%. It’s our belief that the reason so many small businesses fail is because the business owners don’t know how to effectively market their business. Imagine how easy it will be to make sales when you have the answers to just the above 4 business questions … the one’s that we can guarantee your competitors don’t know the answers to. This is our flagship product. It’s designed to take you from newbie to expert as quickly as possible, yet give you an in depth understanding of what it takes to market your business effectively and specifically how to do it. Remember paint by numbers? Well, this is as close as it gets – while imparting over 15 years of marketing experience creating successful campaigns.